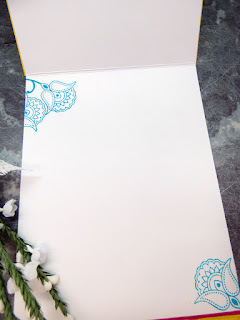 My Card Attic: Paisleys & Posies . . . With Neither! Hello Crafters! 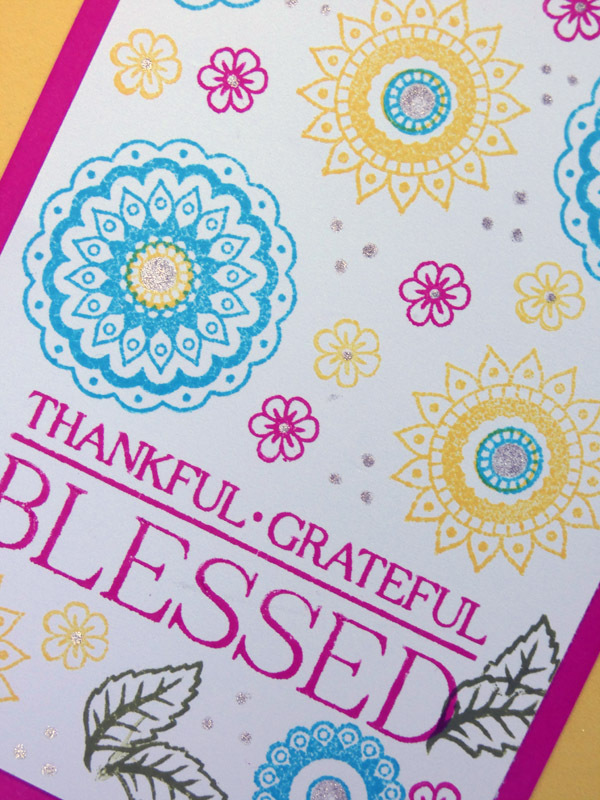 Today I was playing with a new - to me - stamp set from Stampin' Up, called Paisleys & Posies. However, I just wanted to use the pretty circle designs from the set and see what I could do with them! I stamped the greeting first on to a panel of white card-stock and then used a colour combination of 'Tempting Turquoise', 'Melon Mambo' and 'Daffodil Delight' and stamped a pattern all around the sentiment. I didn't have any 'Melon Mambo' card-stock, so I took my ink pad to some white card and inked the borders and adhered that to the centre of my 'Daffodil Delight' panel which was adhered to a white base card (I do this to save on coloured card-stock). Next, I adhered my stamped panel to the front and finished with some shimmery dots and centres to the circles with my 'Stardust' gel pen. I didn't do a lot to the inside, I just did a strip of yellow and a strip of pink at the bottom and stamped a couple of the images from the stamp set in 'Tempting Turquoise' but left a sentiment out until I decide what to use the card for. Oh, my goodness, your card is so bright and cheerful and PRETTY! Love the color combo and those circle designs. I also want to thank you for your kind comment about my granddaughter Polly's cards. I've been letting her read the comments and she just beams at each one! Love the bright summer colours Hazel so beautiful. Bright and happy, Hazel! LOVE this color combination! 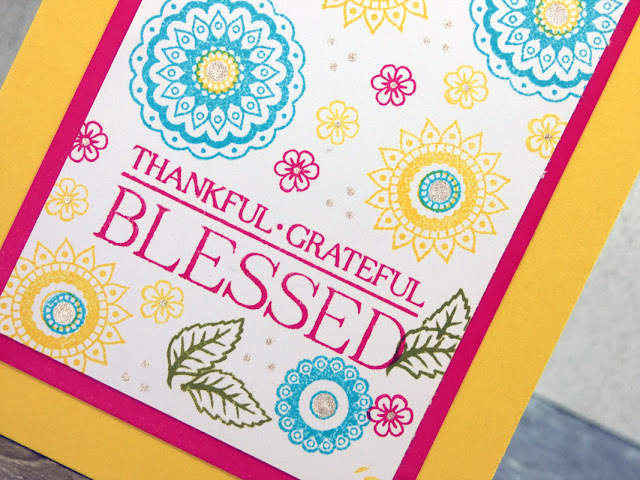 Hazel, I love this bright and colorful card. You have placed your images nicely...I know random is more difficult that it appears. You have achieved great balance.